where di someone get splits from, I go to site and do not see them? Iron& wine, you are right 2:10 lets not only Cheserek who you know will go out on 2:00 to get to you, but a lot of others into the mix, a really good job to Hold on for second for CBA I think, altho 4:15 is a winner, I do not think Ches had too much more to give , he looked back and was flapping the arm. 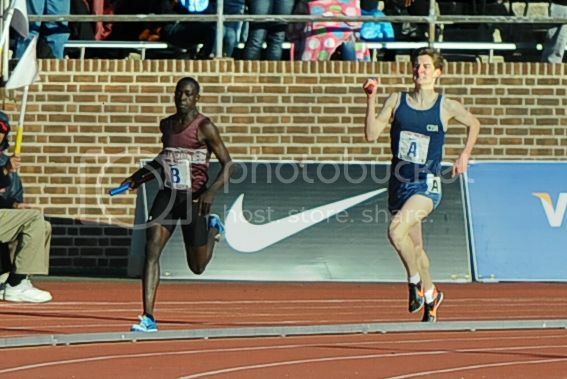 "St. Benedict’s Prep (NJ) did their jobs with keeping the race within 10 seconds so that when Edward Cheserek got the baton he would have a controllable gap to surmount. Cheserek got the baton 10 seconds back, went through in :57 and 2:02 through 800m before catching CBA’s George Kelly with a lap to go. 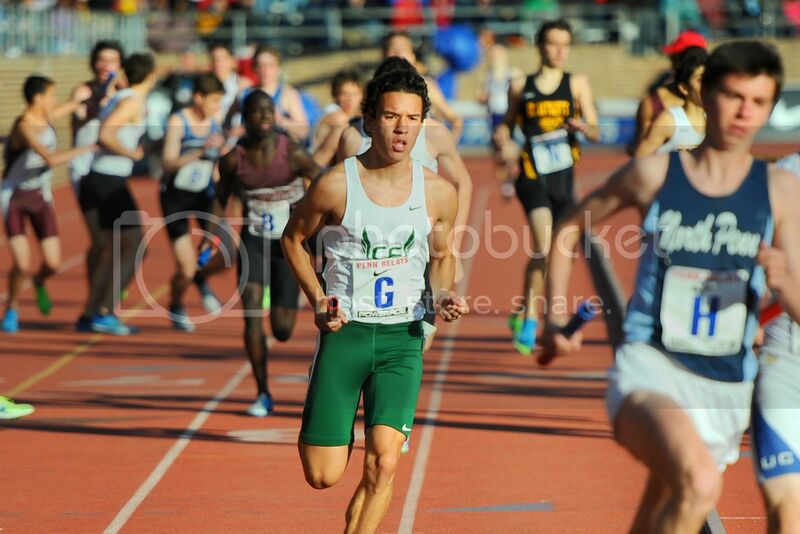 On the backstretch he let the afterburners fly to close in :57 for a 4:06.2 split as the winning time was 10:07.76. 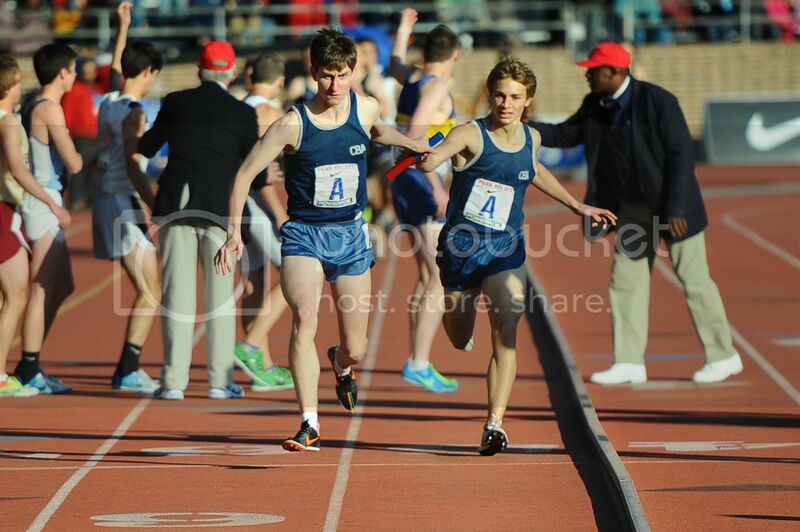 Christian Brothers Academy (NJ) settled for 2nd"
1600 leg starts at about 2 minute mark of video. 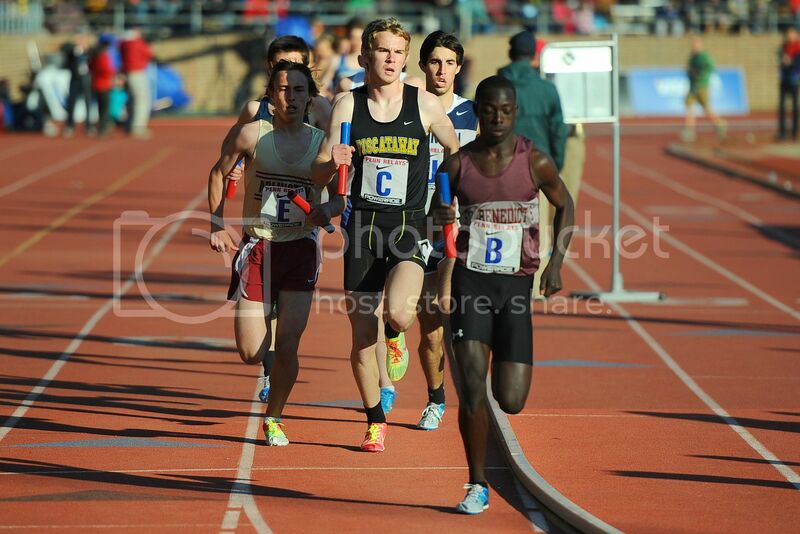 Looks like Cheserek caught Kelly with about 200 meters to go. 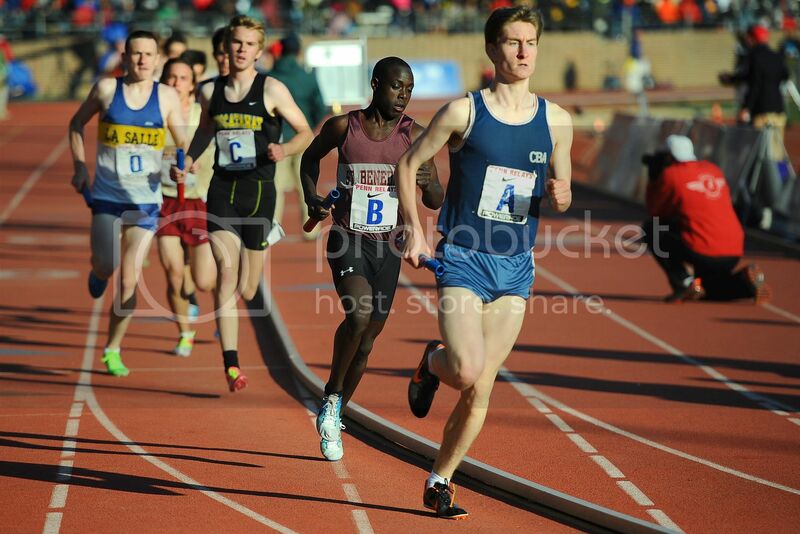 Cheserek in the background after getting the baton ~10.6 seconds later. He is in 9th place here. Cheserek is tucked in behind Kelly after the second lap. … and remained in that position through the 3rd lap. No, first 400 was clocked at 57. I don’t think George was “content” to go out in 2:10. 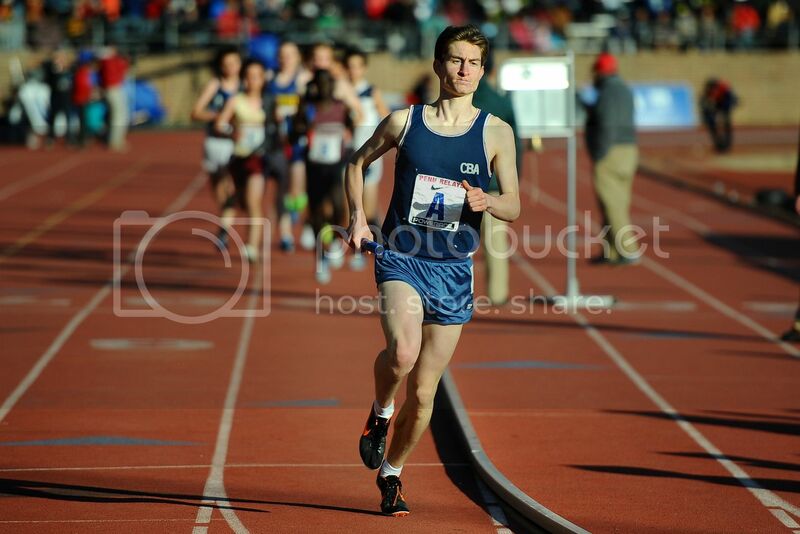 Racing at Penn is an experience totally different than virtually every other meet. You do not get splits (or if you do you certainly can’t hear them) and the adrenaline rush is like no other. I think I read where the plan was to go out steady and then move in the middle as Edward got near, i.e. to not let him settle after getting out hard early to close the gap, and if so that was a great plan, and George knew at the handoff that Edward was pretty far back, so maybe he thought that whatever pace he was running was fast enough or “felt” fast enough. But George may hve not had a good feel for how fast or slow he was going, and I’m sure he was trying to balance going out too fast with keeping it honest and then trying to build on it. Very few guys succeed in that spot, and the guy behind George may in the end turn out to be the best HS runner ever, so no shame there. Great job by St. Bens and CBA, and NJ athletes in general. 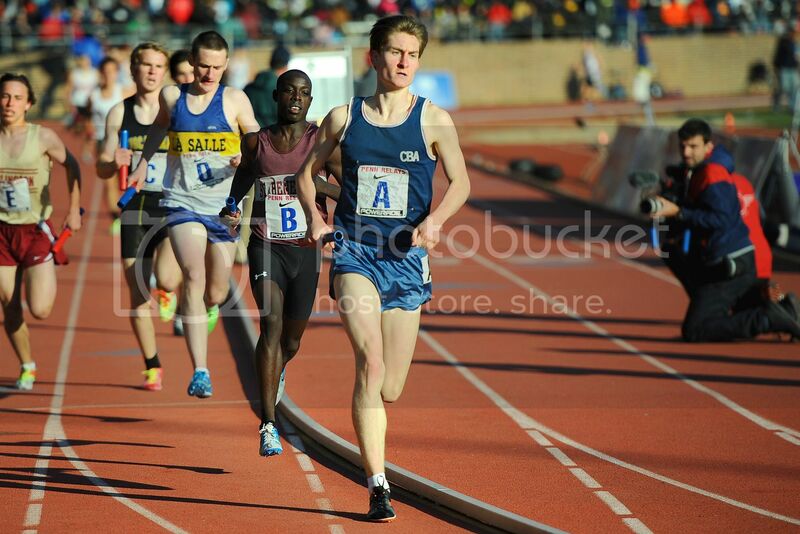 Tough race for Kelly and CBA, great race from St. Ben’s when the chips were down. You plan, you train, you race and what hurts the most is when you know you could’ve run better, no matter the place you finished. That’s running for you. I don’t think George was “content” to go out in 2:10. Was closer to 2:12, by my watch. It looked like he was sitting up and waiting for Edward. Kelly’s a great runner, don’t get me wrong… but let’s be honest, that was just an awful carry. Loxsom only 1:49.3 after 1:50.0 yesterday?. Yes, new Morris County 4 x 400 record. Old record was 3:20.11 set by Mount Olive at the 2008 MOC. 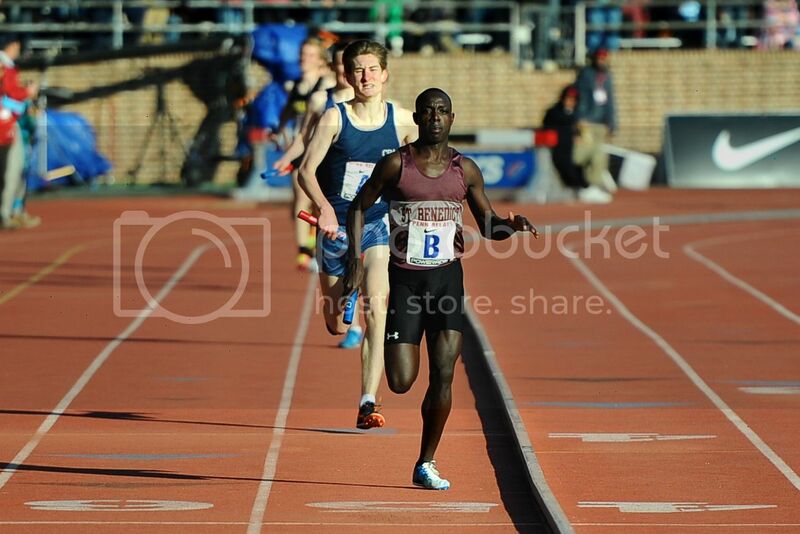 Morristown’s mile relay record from 1973 is 3:17.3.